There are no shortages of stories about people “smuggling” gold into other countries. I put the term “smuggling” in quotes because the term itself implies criminality. But it is only criminal because of tyrannical government. One story involves a North Korean official who is a diplomat for North Korea’s embassy in Bangladesh. He was caught carrying a large amount of gold valued at just over a million dollars. I’m not sure how someone carries 59 pounds of gold and expects not to get caught, but that is what happened. Since it was undeclared, it is a violation of Bangladesh’s customs regulations. It still isn’t clear if the man was trying to get the gold out of North Korea on behalf of the North Korean government or if he was doing it for himself or other parties independent of the government. Both scenarios are quite possible because North Korea has little in the way of a free market and it is also very isolated from the rest of the world. Due to sanctions, North Korea does not have easy access to international banks. When free trade is not allowed to exist, this kind of situation is going to happen. You can point fingers at a lot of different parties. The North Korean government, of course, is to blame for its tyranny and anti-market policies. But this isn’t the only culprit. The sanctions placed on North Korea probably don’t do much good in suppressing the tyrannical government there. We have seen how this has worked (or not worked) in Cuba over the last 5 decades. It just tends to keep the people isolated from the free world and often leads to further suppression of the people. It also leads to more underground activity as we see here. You don’t just have tyrannical government in a dictatorship. You often get the same thing in a so-called democracy. I can think of no better example than India. The people there vote, yet it is a massive welfare state with bureaucratic red tape everywhere. It is not a good place for business, unless you are heavily connected to people in power. The second story of gold smuggling is likely a result of Indian government tyranny. In this case, a flight attendant with Jet Airways was arrested for carrying a large amount of gold, along with diamonds. This was similar to a story from last month where crew members of Air India were arrested for attempting to smuggle gold. But why are all of these people trying to smuggle gold? While it really could be for any number of reasons, it is hard not to think that this has to do with India’s heavy interference in the marketplace. The Indian government has placed tight restrictions and taxes on imported gold. This is in a country where the population’s demand for gold is high. Are these smugglings due to other illegal activities such as drugs? Or are they simply a result of the Indian government’s taxes and regulations on gold? 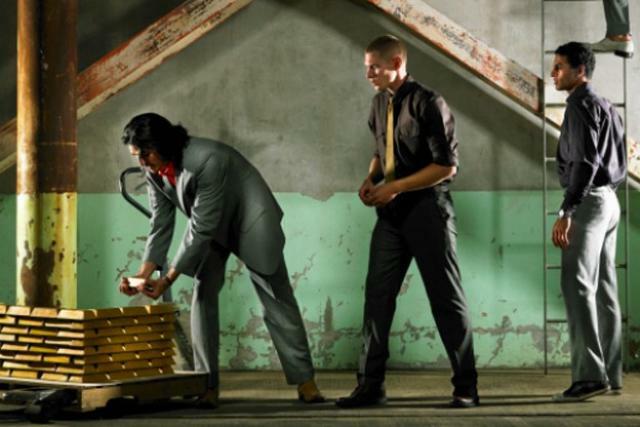 We have to ask ourselves why it is illegal to carry undeclared gold into another country. Why is it illegal to carry large sums of cash across borders? The answer is that one government intervention leads to another. Government tyranny leads to more government tyranny. Think about all of the government interventions into the marketplace. There are taxes and regulations against gold and other goods. There is a lack of property rights. The governments of the world fight drug wars to no end, which then gives them excuses to invade our civil liberties in other ways. There are strict banking regulations and alerts for large deposits. When you pile up all of the laws, regulations, tariffs, and other taxes, you end up with this as a result. Of course you aren’t allowed to carry large amounts of gold across borders. These “anti-smuggling” policies are just the logical conclusion of massive government interference in almost every aspect of our lives. My prediction is that gold smuggling will continue. Some will get away with it and others won’t. But as long as there are restrictions on voluntary trade, this is what should be expected. Gold is still the money of the world, despite governments of the world making it difficult to be used in a voluntary way. Gold will continue to be used worldwide and travel across borders, despite what any government does to try and stop it. Is Indian gold about to enter the financial markets? When gold comes back, you'll want to own physical gold as well as mining stocks.